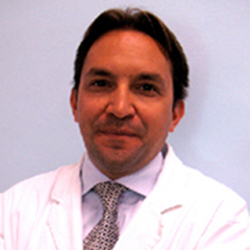 Piero Tesauro: President of the Italian Society of Hair Science and Restoration. Graduated with honors in Medicine and Surgery in 1990 (University of Naples). Specialization degree with honors in Plastic Surgery in 1995 (University of Milan).